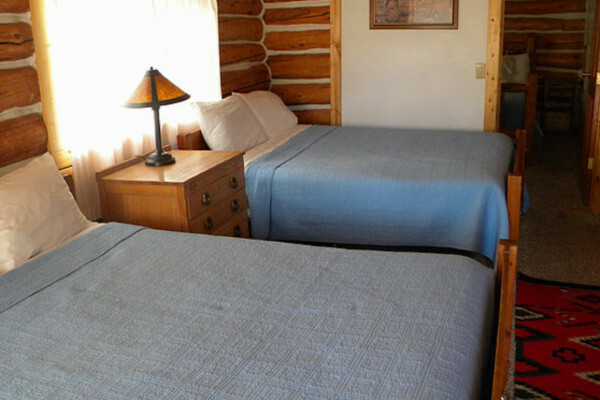 Cabin Room #5 has three beds, one queen and two doubles, and a tub/shower. 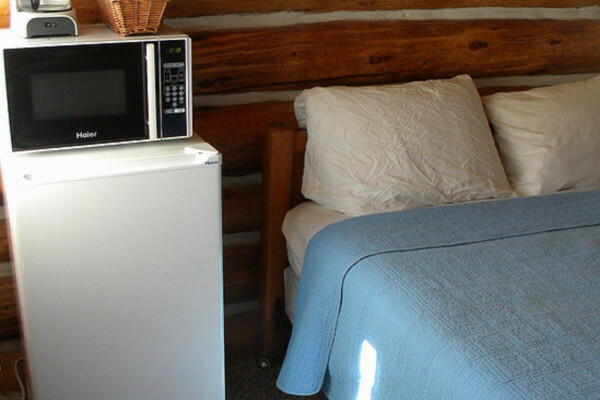 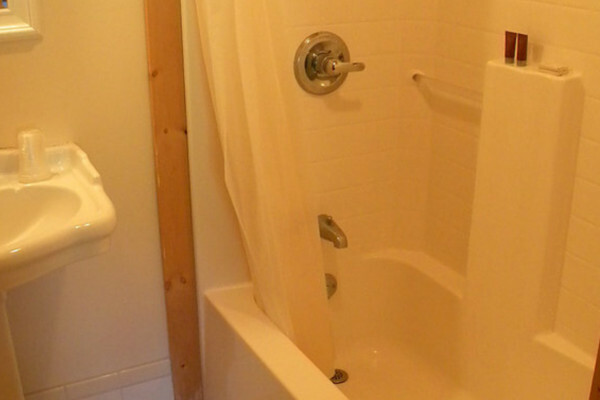 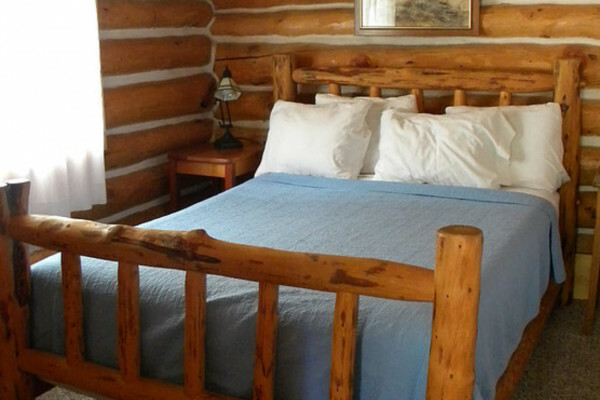 Cabin #6 has one queen bed and a full bath.Cabins #5 and 6 share a porch and can be adjoining rooms. 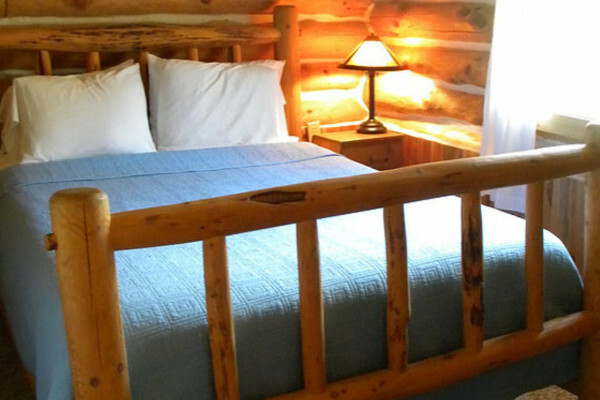 All rooms are non-smoking and pets are not allowed. 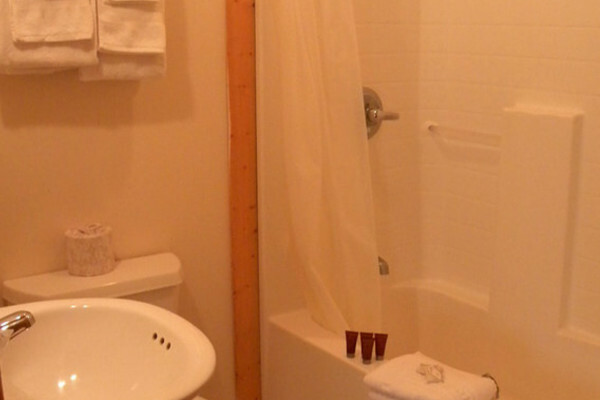 In every room we leave our guests breakfast baskets to get you started in the morning. 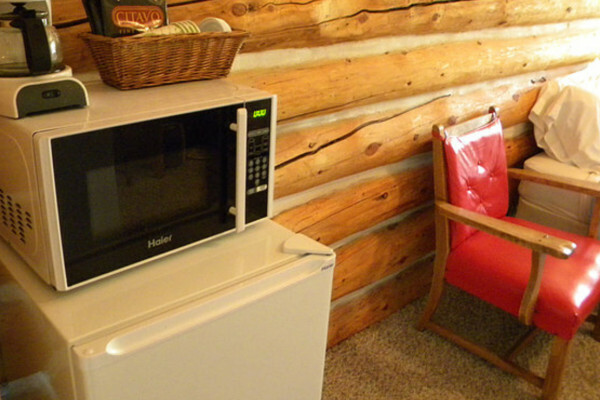 The breakfast baskets include: a muffin, granola bar, orange, hot cereal packet, juice and coffee. 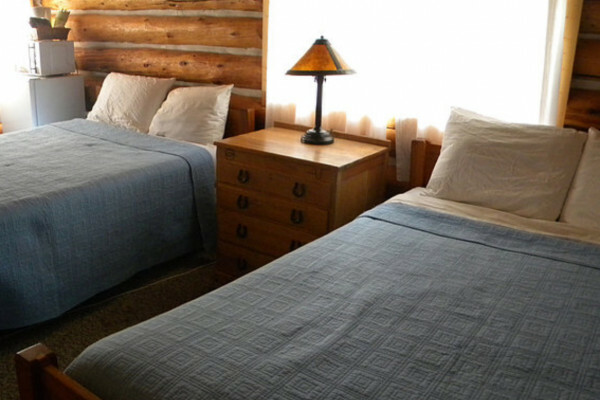 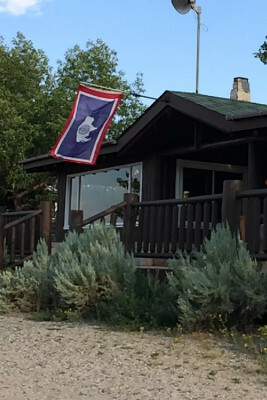 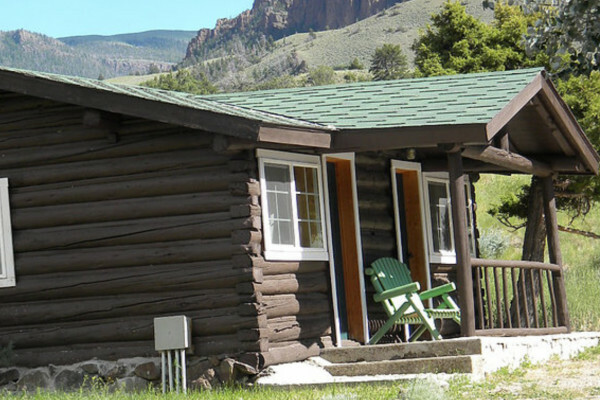 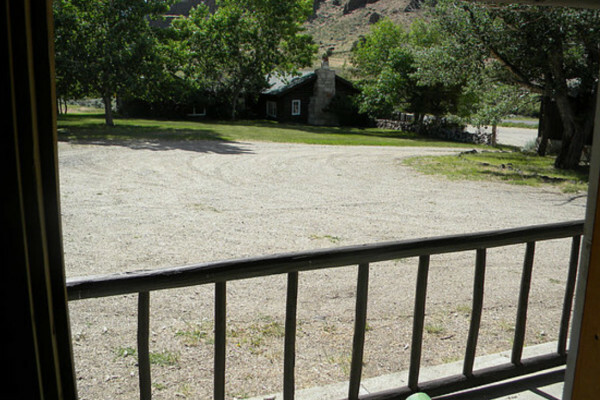 - -- Since the early 20th century, Trail Shop has offered Yellowstone travelers meals and a warm place to stay. 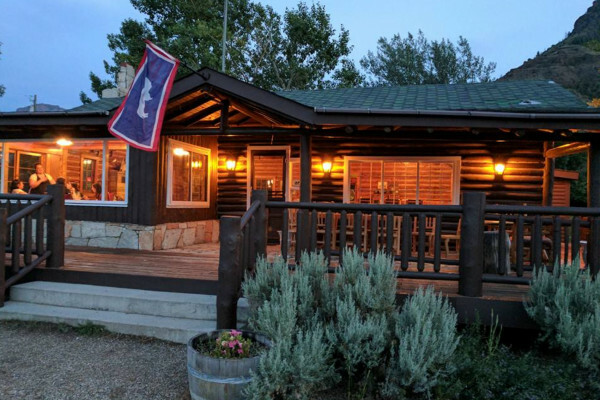 Almost a 100 years in operation, Trail Shop has a variety of comfortable rental rooms for guests who need to rest for the night, a beautiful dining room where you can eat steaks, fish, pasta, and burgers and choose from our full bar and extensive wine list. 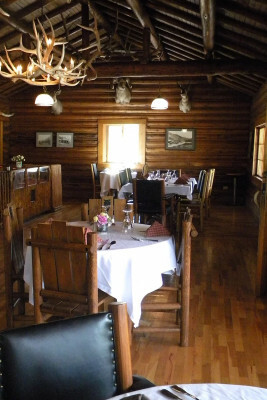 Enjoy the grand beauty of the Wapiti Valley while dining in Trail Shop's historic lodge.